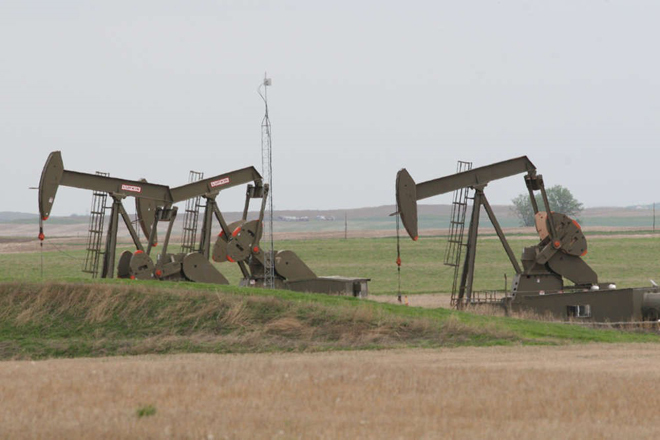 Concerned visitors are helping to document oil and gas development on the border of Theodore Roosevelt National Park through an innovative crowdsourcing campaign. A well pad very close to the boundary of the South Unit of Theodore Roosevelt National Park. National parks preserve America’s priceless natural and cultural heritage for all time. But as America continues to grow and prosper, the experience of being in a national park is changing. The annual amount of oil and gas produced in the United States has more than tripled since 2007, and the boom shows no signs of slowing down. Development is creeping ever closer to park borders, and when that development is poorly planned it can cause unwanted intrusions on the park experience: air and water pollution, noise and light pollution, and fragmentation of wildlife habitat. Seeing how parks are impacted by activities outside their borders can be a powerful step toward determining better ways to protect our national parks. 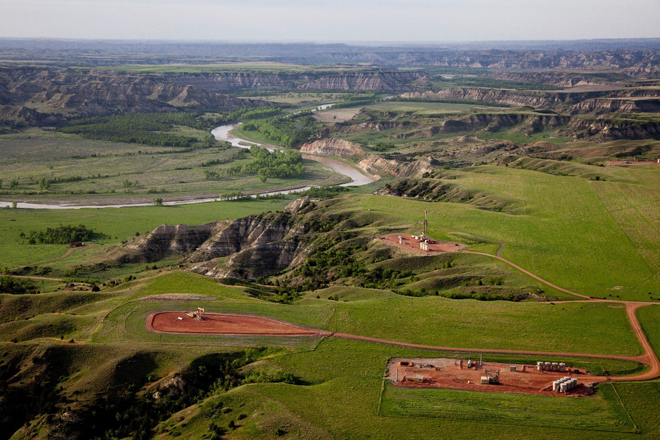 In this spirit, NPCA recently partnered with Pennsylvania-based mapping organization FracTracker to document first-hand the impacts of oil and gas development at North Dakota’s Theodore Roosevelt National Park. These images are helping NPCA understand and communicate to industry and government agencies the park values at stake. One of America’s most spectacular wonders, Theodore Roosevelt National Park includes 70,000 acres of beautiful badlands; herds of bison, elk, wild horses, and bighorn sheep; and the historic ranch that served as the cradle for the conservation ideals of President Theodore Roosevelt. NPCA and FracTracker joined nearly 20 volunteers, including allies from Friends of Theodore Roosevelt National Park, and spent two days traveling inside and around the three units of the park, taking photos. We also hired a pilot, Chris Boyer of Kestrel Aerial Services, to take photos from his plane. We then used the new FracTracker mobile app to upload our photos and videos to an interactive online map. You can use the map to become a virtual visitor to Theodore Roosevelt National Park, viewing how development looks from the perspective of the park. Check out the map with photos from the FracTracker app. These three wells sit atop a cliff overlooking the Elkhorn Ranch Unit of the park (above the “s” curve in the Little Missouri River in the background) where Theodore Roosevelt operated a cattle ranch in the 1880s. The development is visible from the park. 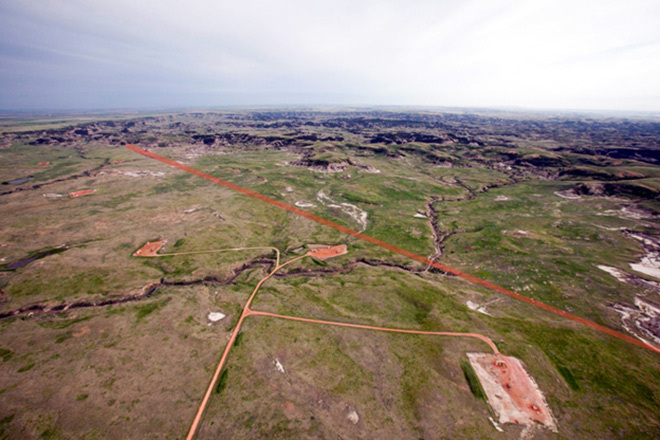 Six well pads are visible in this aerial shot, immediately adjacent to the northeast boundary of the South Unit of Theodore Roosevelt National Park. The park boundary (shown here in orange) runs diagonally from the upper left to lower right of the image, just beyond the well pads. These pump jacks sit just across the road from the eastern boundary of the South Unit of the park. 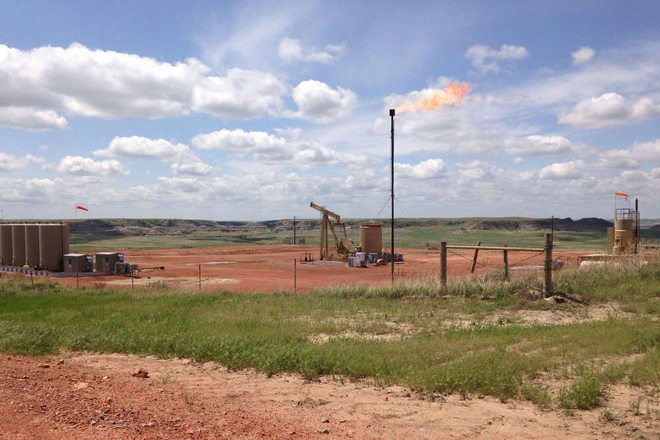 This well pad is burning off natural gas into the air, creating a flare. Flares like this one, within a mile of the North Unit of the park, contribute to air pollution and are visible at night. 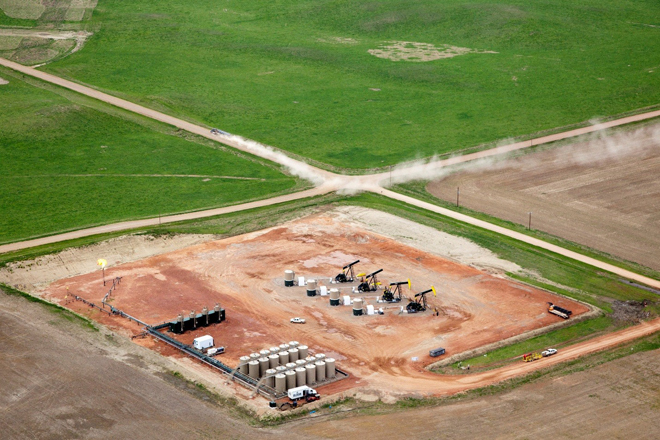 This photo, taken north of the North Unit, highlights a number of impacts: dirt road construction, truck traffic kicking up particulate matter, and flaring (at the left edge of the pad). Once oil is taken out of the ground, it is transported on huge trains to refineries. 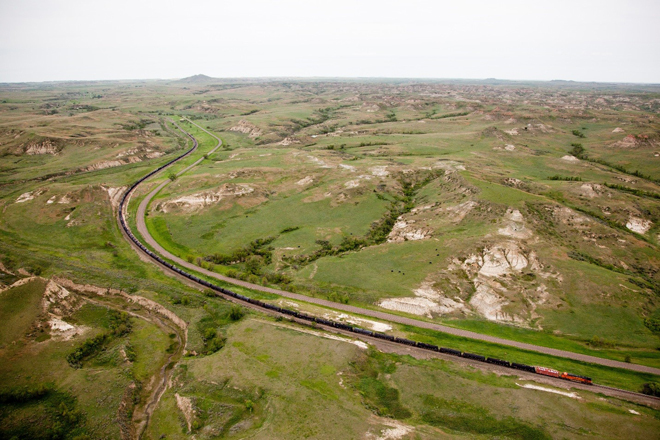 The train in this photo, just west of the South Unit, is nearly 100 cars long and carries more than 3 million gallons of oil when full. You, too, can document oil and gas development near national parks and help industry and government agencies plan future development in ways that protect our parks and honor their values. Download the FracTracker app from iTunes (Android version coming soon) and start uploading your own observations from anywhere in the country. By better understanding how current development can look from the perspective of our national parks, we can help inform steps to ensure future development is done in a way that is sensitive to park resources and visitors.